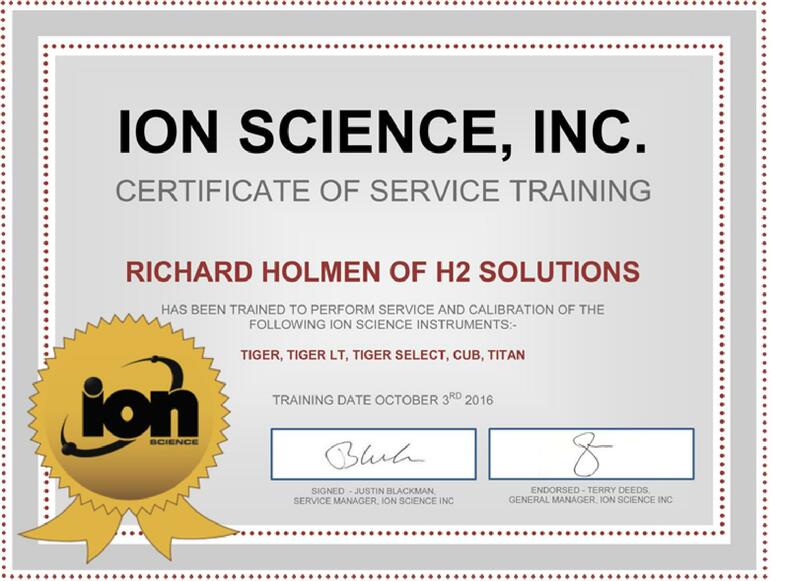 Featured Ion Science products that are distributed by H2 Solutions include the Titan fixed selective benzene sensor, as well as the Tiger, Tiger Select, Tiger LT, ​Cub, and ​GasClam. Ion Science was founded in 1989 and has grown from a small operation to a worldwide group. Ion Science has over 25 years of experience designing, manufacturing and supplying gas sensors and gas detection instruments for a wide range of industries and applications. Manufactured in-house at their UK plant, Ion Science’s sensor technology and instrumentation is designed and developed by a talented team and distributed worldwide via a global network of distributors. Experts in photoionization detection (PID) technology, Ion Science manufactures and supplies more PID sensors than any other gas detection company in the world. The ION Science PID sensor is used by major, global gas detection manufacturers and found within most PID instrumentation available today for the detection of volatile organic compounds (VOCs). Renowned for its outstanding humidity resistant performance and anti-contamination design, Ion Science’s patented PID sensor technology gives results you can trust in the most extreme conditions. With a dedicated R&D department, research is at the heart of our company and is fundamental to Ion Science technology and product development. For details on product specifications, view our downloadable brochures on the right column of this page.